This endless winter is hard on the skin. For your consideration here are some products to nourish your dry skin and delight your senses. 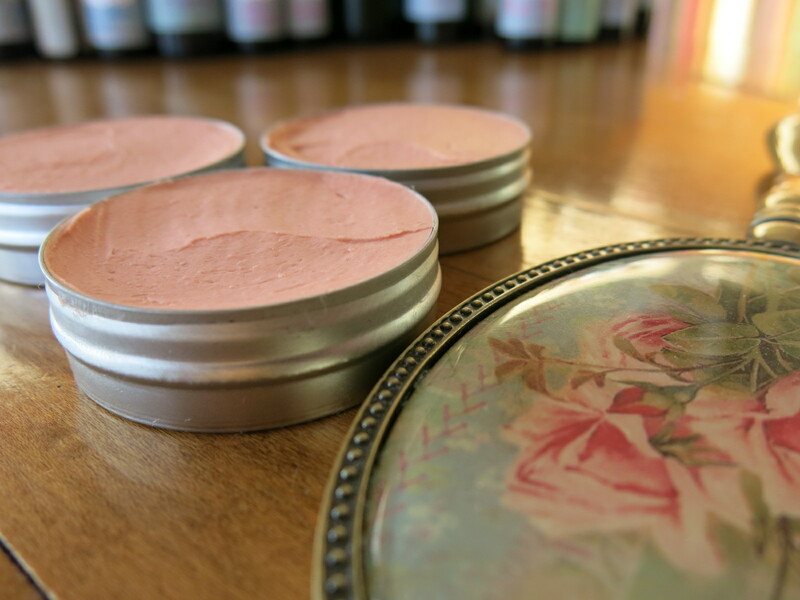 I’ve been playing in my new studio and there are a few new moisturizing items for you to explore and a couple of limited edition soaps. Some of my items are listed in my etsy stores. You can also order by sending me an email or facebook message or call me at 612-508-0584. You can pick it up in Saint Paul or I will ship it you anywhere in the world. 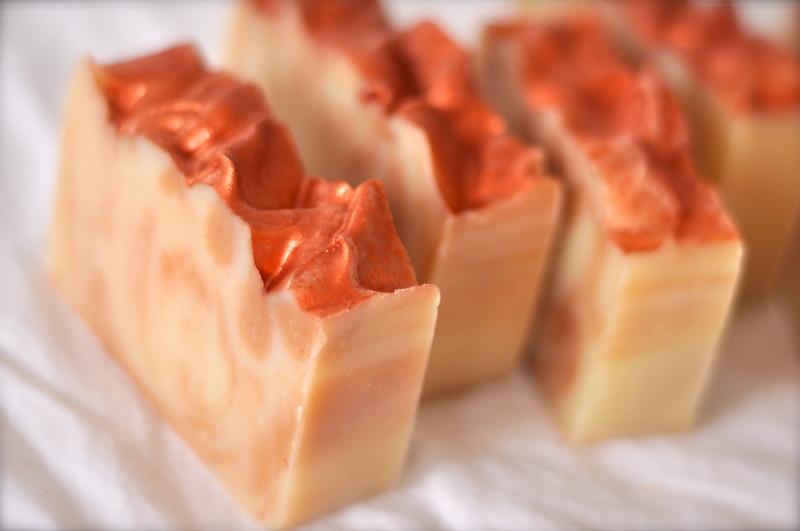 Tangerine Spice Soap scented with a festive blend of Tangerine, Sweet Orange, Clove and Cedarwood essential oils, colored naturally peachy-orange from the citrus Essential Oils and swirled with Moroccan Red Clay and topped with a shimmery dusting of copper mica. Lavender Lemongrass Calendula My popular Lemongrass Calendula got an upgrade with the addition of 100% pure Lavender Essential Oil. 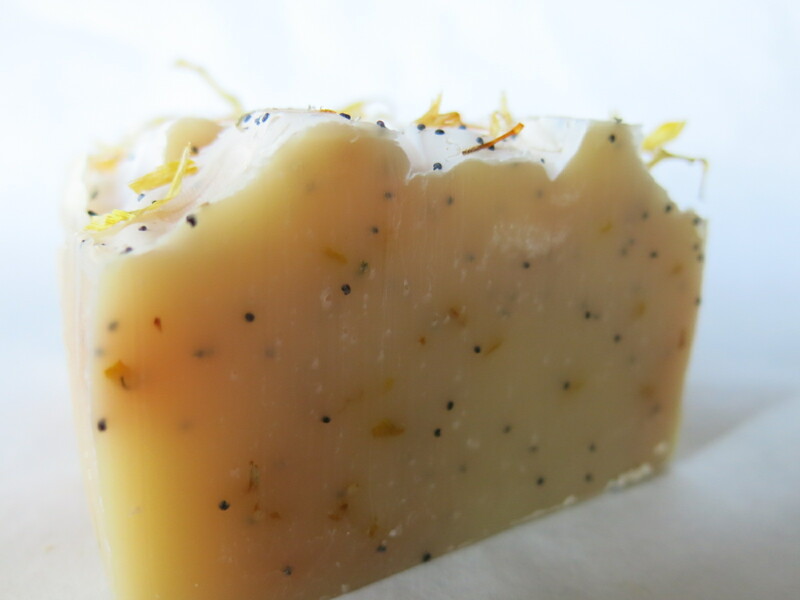 This creamy white natural colored soap is filled with lovely, bright Calendula petals, poppy seeds and delicious Lemongrass essential oil. 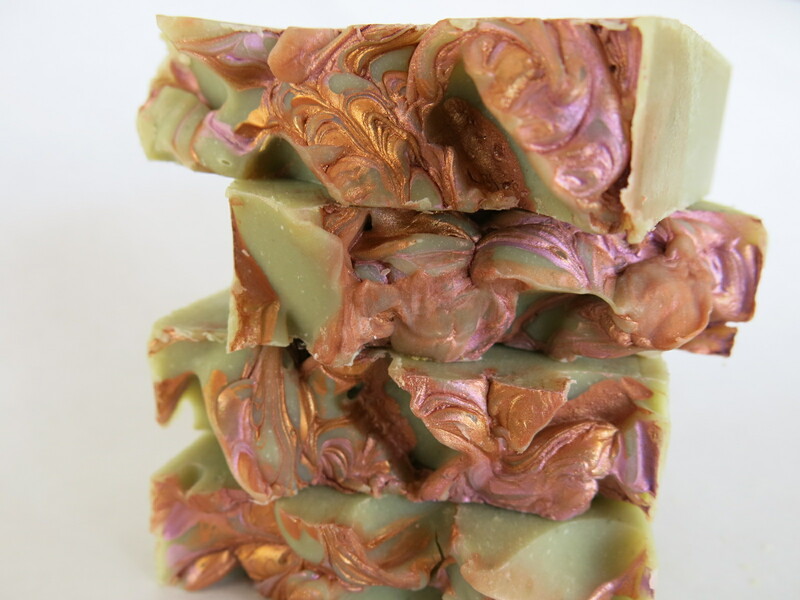 Spearmint French Green Clay This soap features the simple, nostalgic scent of pure Spearmint essential oil in a pretty bar with a pink clay meringue like top, a cocoa powder line and a bottom layer of French green clay. Classic, simple, lovely. Limited Edition: Dan’s Scrubbing Bubbles I get a lot of requests for scratchy bars of soap. I called it Dan’s Scrubbing Bubbles because my Uncle Dan is one of my favorite soap loving customers and in his world there is no such thing as too scratchy. 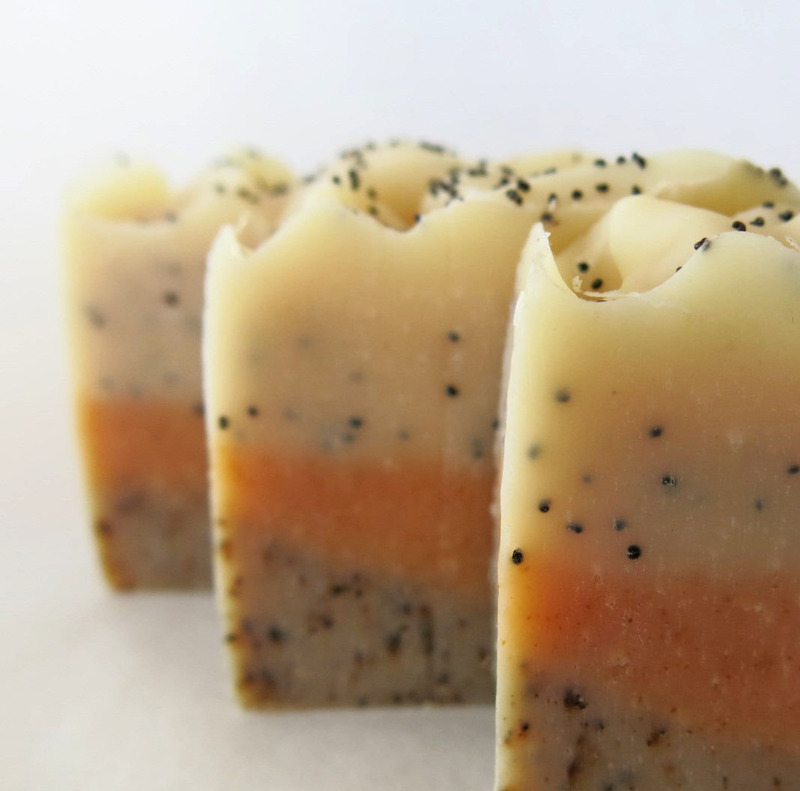 This bar aims to be scratchy while still being visually appealing, moisturizing and delicious smelling. The scatchiness comes from ground pumice, paprika, poppy seeds and coffee and the it’s scented with Lemongrass and Lavender Essential Oils. Scratch on! Limited Edition: Playing Around. I was just playing around. 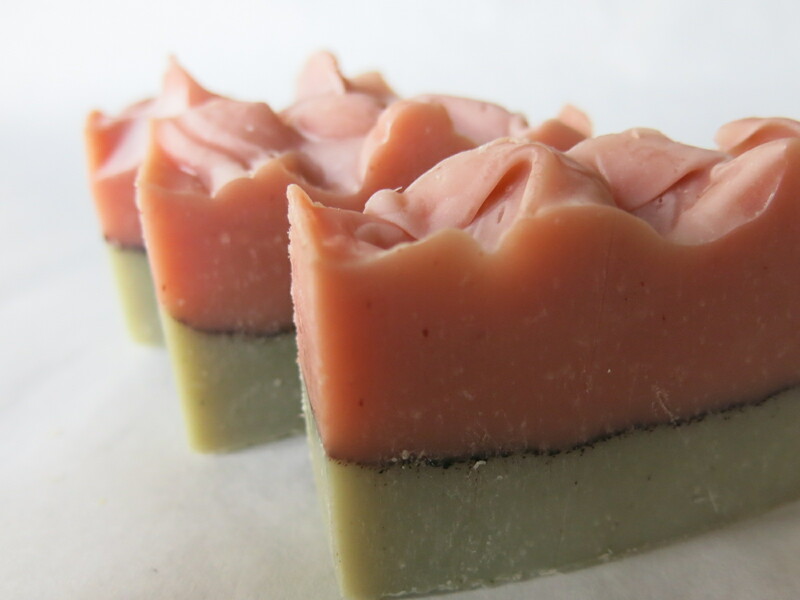 This is my luxury soap recipe with colored simply with French Green Clay. The top was swirled with two colors of mica and then teased into peaks. It is scented with a blend of 100% pure essential oils of Lavender, Clove, Cedarwood and Sweet Orange, which you may remember from my Totally Awesome New Soap that was in the Holiday catalog. You can buy them now if you like. They have been curing for a couple of weeks and will be gentle on your skin but I recommend storing them on a shelf exposed to air until late March. The nice, long cure time will result in a harder, longer lasting bar of soap. 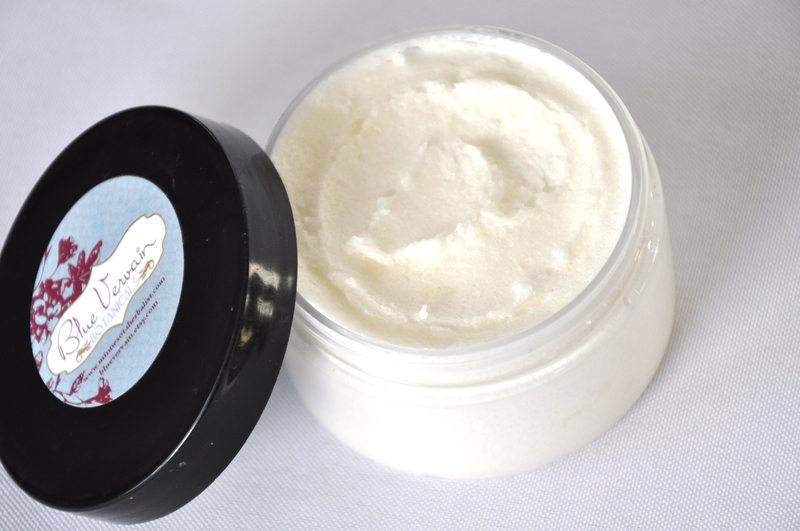 Bountiful Harvest Organic pumpkin puree is so creamy and good for your skin. 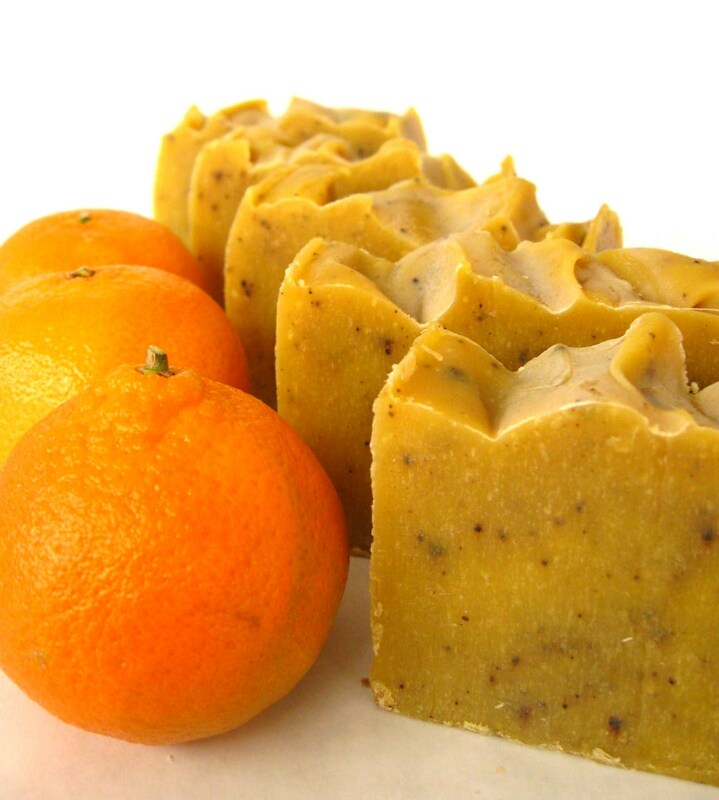 Mixed with Clove and Sweet Orange essential oils makes this a cozy Autumn or Winter themed soap. The ground coffee adds visual appeal but also lends a bit of scrubbiness to this bar. 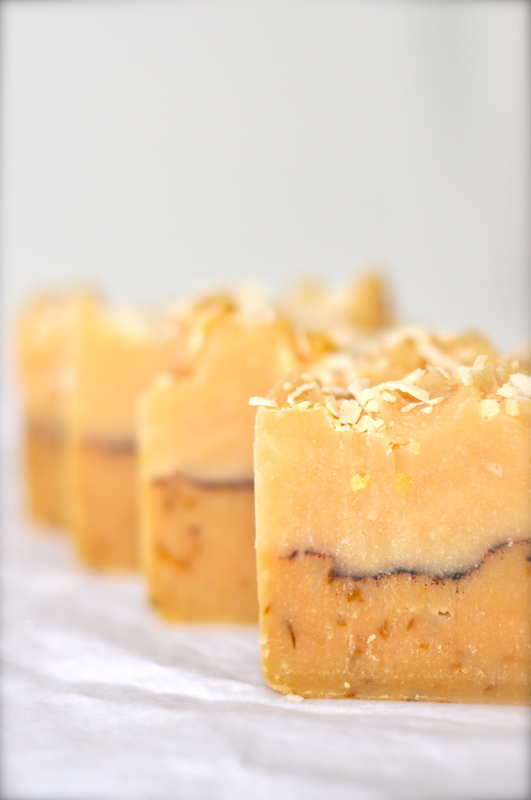 Coconut Lemongrass Inspired by the scents and flavors of Thai food, the bottom layer is colored with yellow clay and bespeckled with organic Calendula. The top layer is creamy white with real coconut milk and meringue-like peaks and covered with flaked coconut. This soap smells is for all the Lemongrass lovers out there and is an intoxicating combination of 100% pure Lemongrass Essential Oil and Coconut fragrance oil. 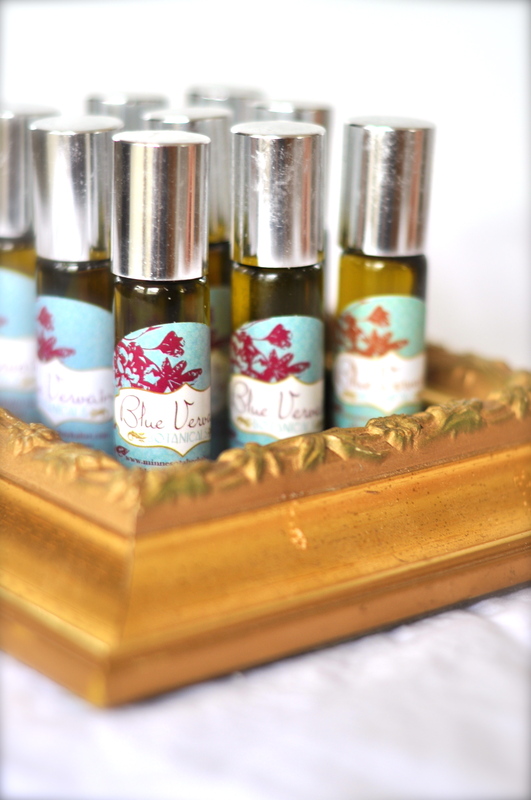 Natural Serum Serums are hot in facial care now! Serums are densely packed with nutrition and active ingredients to improve skin care. My serum is lightweight and won’t clog pores. It is comprised of 100% botanically derived ingredients including precious oils of expeller pressed Rosehip Seed , Vitamin E, precious essential oils of Blue Chamomile, oil regulating Ylang Ylang, anti-oxidant rich Wild Carrot Seed Oil and cell regenerating Rosewood. It is designed to improve skin texture, aid in decreasing the prominence of discolorations, hyperpigmentation, and fine lines and reduce redness and inflammation and puffiness. 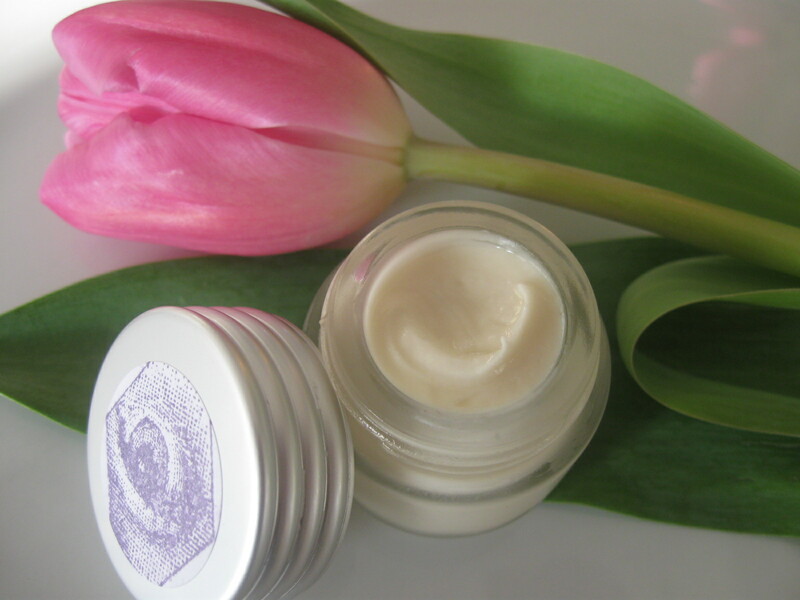 Botanical Eye Cream This is a wonderful under-eye cream. It’s my biggest seller at shows! 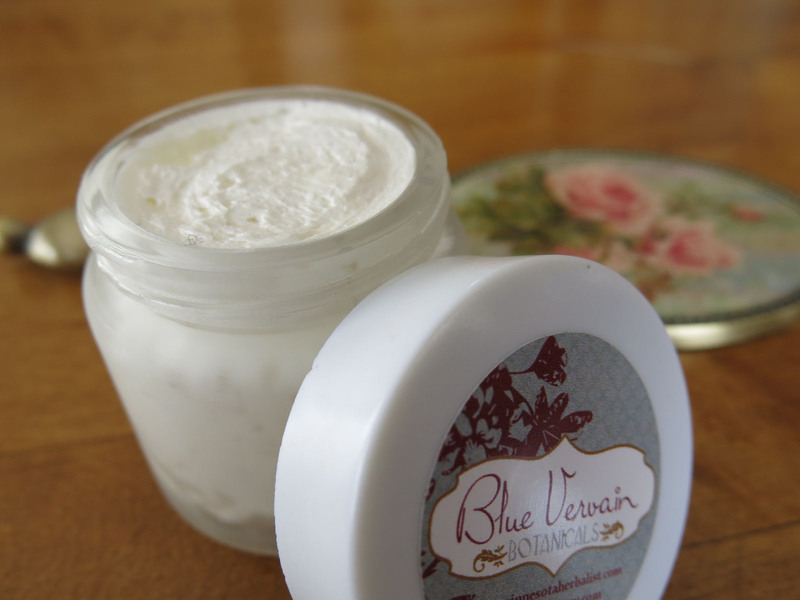 Botanical Eye Cream is very sheer, lightly fragrant and feels markedly cooling and soothing. 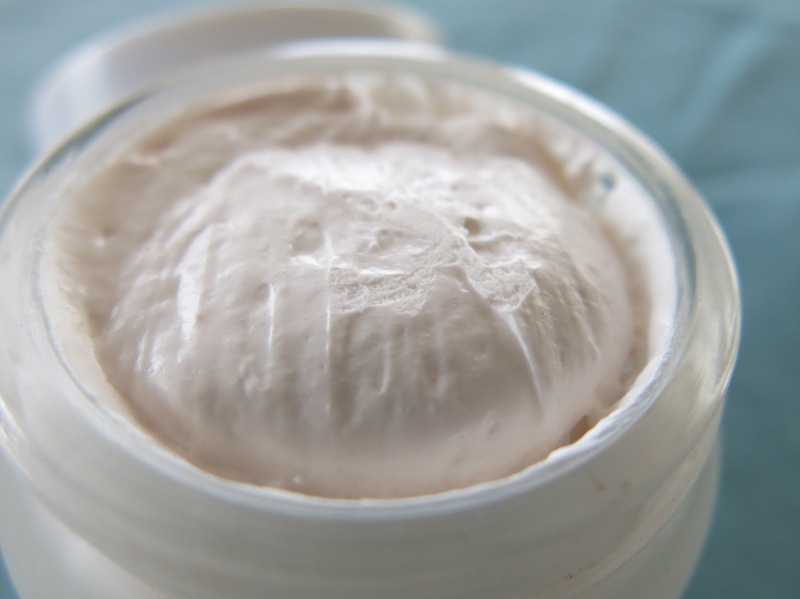 This eye cream has a very low potential to cause irritation on the sensitive under eye area. Even those who don’t normally tolerate creams under the eye tell me that this cream doesn’t bother them. Chickweed infusion lends cooling, anti-inflammatory properties. Fennel is a traditional herb for the eyes. Shea butter and coconut oil sink delightfully into the skin. This cream is ideal for mature skin and includes precious oil of Rosehip Seed which goes to work on fine lines, discolorations and scar tissue. Garlic Ginger Cold and Sinus Syrup This is a fabulous tasting syrup! It is partly pungent and partly sweet and definitely zesty. The Garlic and Ginger offer warming energy and anti-microbial properties make it useful at the onset of colds, flu, respiratory infection, etc. It is particularly useful when the head, sinuses and/or lungs feel congested, cold, goopy and full. It also offers a delicious way to take garlic for its blood pressure lowering effects. Green Salve This is the salve for all your first-aid needs! Contains wildcrafted or organically grown infused herbal oils, including Calendula, Chickweed, Plantain, Saint John’s Wort, Lemon Balm and Yarrow. It is appropriate for general wound healing, anti-microbial infection fighting power, cooling burns and inflammations, insect and spider bites, herpes, shingles and cold sores. Some clients use it on eczema, psoriasis and fungal infections. 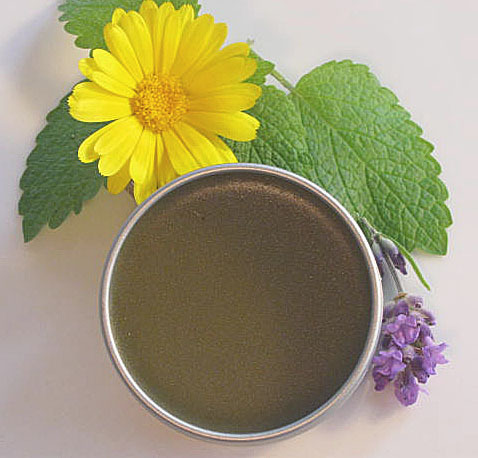 Green Salve come in a 1 oz. tin container with a hand-stamped botanical label. Aromatherapy Chest Rub This 100% natural chest rub is wonderful, fragrant, petroleum free alternative to commercially available vapor rubs. 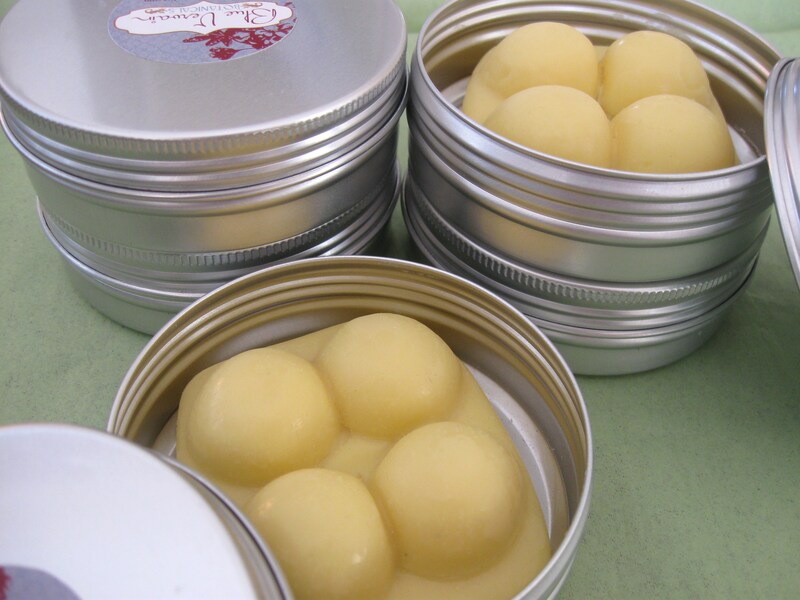 It is made with pure essential oils of Thyme, Eucalyptus, Peppermint, Cedarwood, Lavender and Camphor in a base of Almond and/or Grapeseed oil, Shea Butter and beeswax. 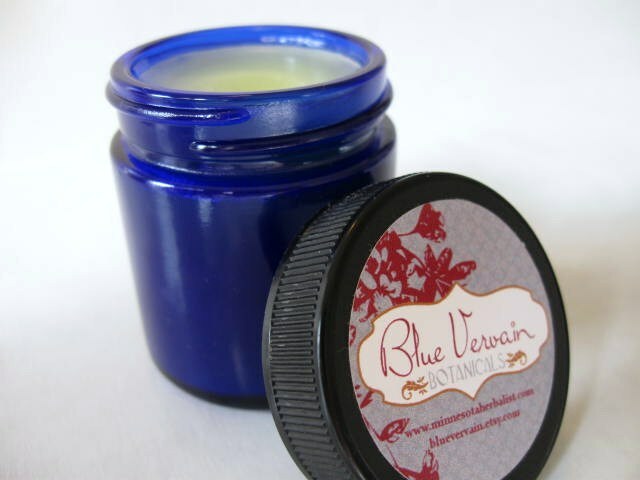 Aromatherapy Chest Rub comes in a pretty 2 ounce cobalt blue glass container. 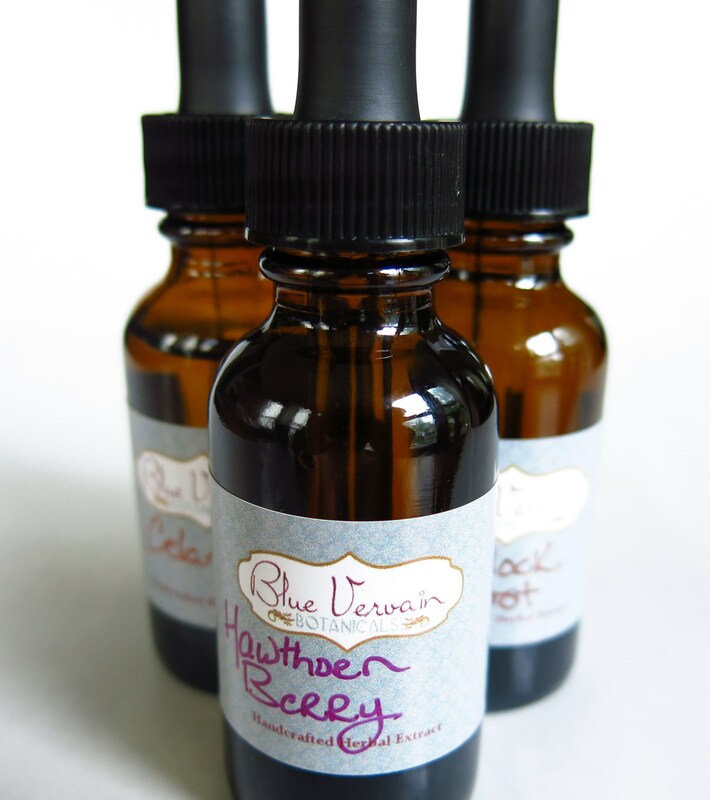 Herbal Tinctures and Infused Oils Over 80 types of tinctures and a number of infused oils are available as singles or in blends and in a variety of sizes. Please inquire if interested.